Everyone has their favorite restaurant when it comes to dim sum, whether it be Bo Loong or Li Wah. 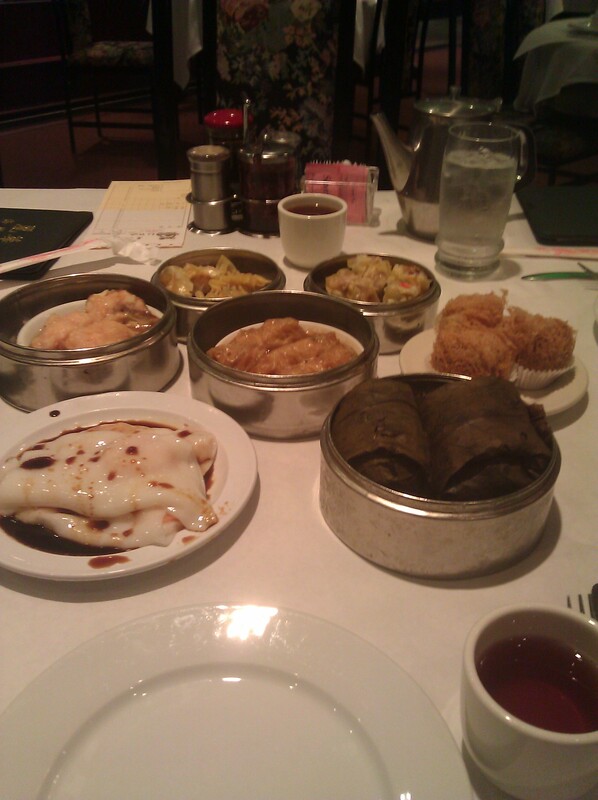 I’ve tried them both – and both are very good – but I have to say my personal favorite is the dim sum at Li Wah. The crust on the egg tart is just a little flakier, and I prefer the atmosphere at Li Wah more. Plus, you never have a problem getting a table at Li Wah because it is so large. Bo Loong, on the other hand, also has plenty of seating and was deemed Cleveland’s best dim sum restaurant by the Plain Dealer. Both restaurants are usually packed with Chinese diners, which is a testament to the quality of both places. You really can’t go wrong at either place. Dim sum refers to a style of Chinese food prepared as small, bite-sized or individual portions of food traditionally served in small steamer baskets or on small plates. Most people think of various steamed or pan-fried dumplings and stuffed steamed or baked buns when it comes to dim sum. 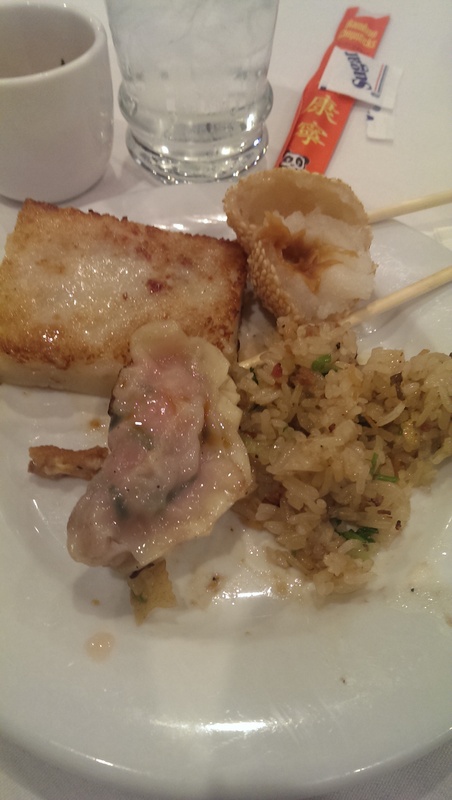 My favorites include the turnip cake, sui mai (or sao mai depending on the restaurant), sticky rice, and shrimp dumplings. It’s a chance to be adventurous and try new things. I always try to order Chinese broccoli or some other vegetables to balance out all the carbs. 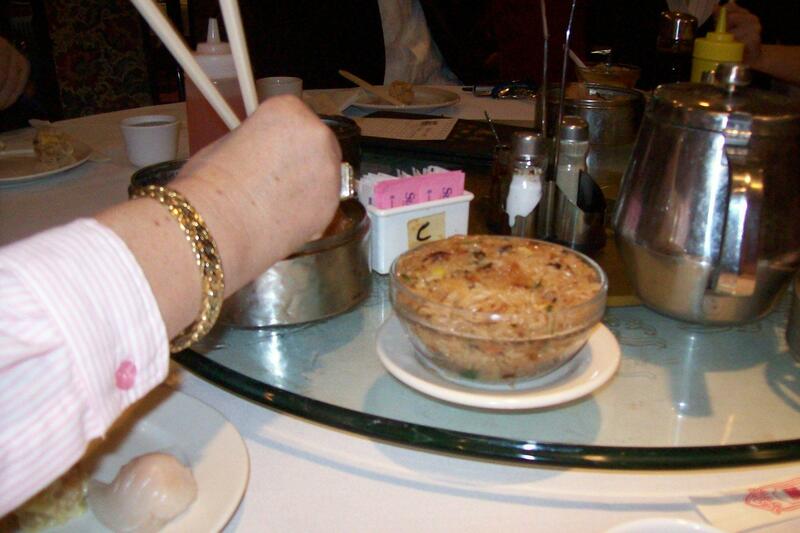 Dim sum is served in most Chinese restaurants on carts. The fully cooked and ready-to-serve dim sum dishes are wheeled around the restaurant for customers to choose their orders while seated at their tables. The most unusual dishes can be ordered from the servers and are made to order in the kitchen. The dishes are tallied on a bill that is left on the table, and are priced according to size. 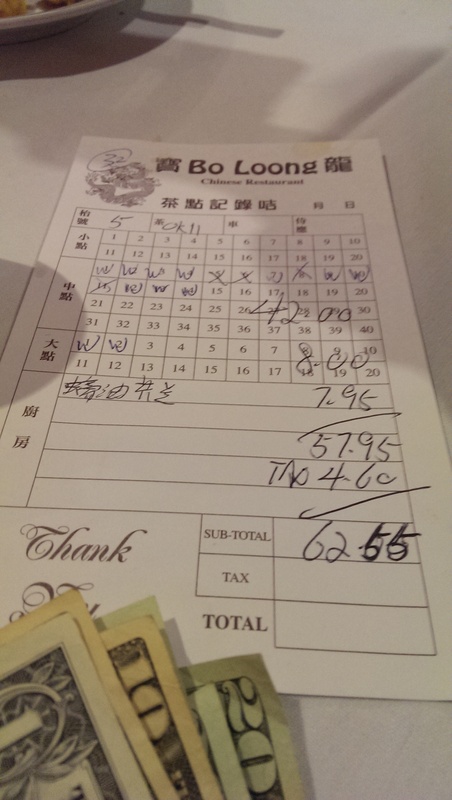 The recent cost of dim sum at Bo Loong for 8 people was $62.55, which came out to about $10 a person after tax and a generous tip. Dim sum is traditionally served with tea. In fact, the drinking of tea is just as important to dim sum as the food. More traditional dim sum restaurants typically serve dim sum until mid-afternoon. Dim sum is a great choice when you dine with several people, and it’s a fun thing to do on a Saturday or Sunday morning. 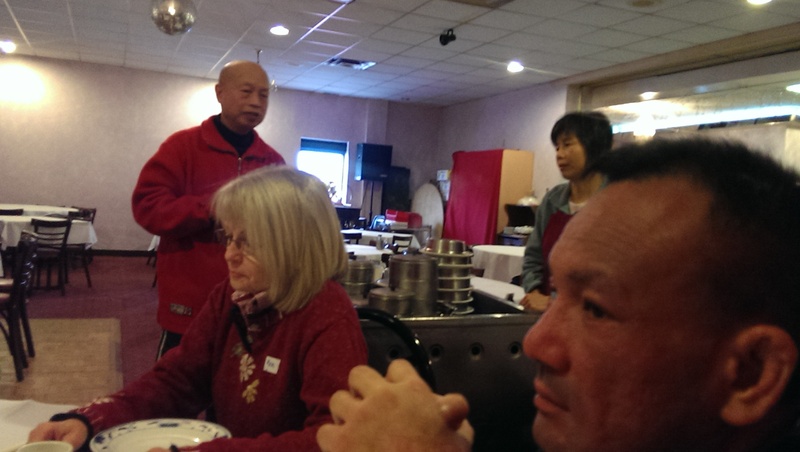 The first time I went to Li Wah we had a nice-sized group and sat at a round table with a lazy susan in the middle. We could select the dishes and rotate the lazy susan to get what we wanted. I usually meet my friend G. for dim sum during the week. G. speaks Chinese, so it is always a treat for me to listen to her order in Chinese. We have similar tastes, so I generally rely on whatever she wants to order. We order a bunch of steamed goodies like pork and shrimp siu mai, pork or shrimp dumplings, turnip cakes, char siu baau (steamed BBQ pork buns), or sticky rice wrapped in lotus leaves (so good!) and then order some egg tarts, jin deui (a chewy dough filled with red bean paste, rolled in sesame seeds, and deep fried) or steamed buns for dessert. The check is then divided by however many people are in attendance. It is always a surprise how stuffed we are and how little we spend in the end. You can sit there for hours and walk away paying less than $20. The most important thing about enjoying dim sum is to go in there with an open mind and just try as many dishes as you can. Once you have learned what you like and don’t like you can then start being choosier. For example, I cannot and will not eat chicken feet, even though they are a dim sum delicacy. But I at least tried them. Both restaurants are also great places to celebrate Chinese New Year. I have been to Li Wah for two years in a row, and the Lion Dance is just a cool thing to see: The way the guys gyrate the lion’s body to the infectious drumbeat. The fascination of the children watching the lion work the room. 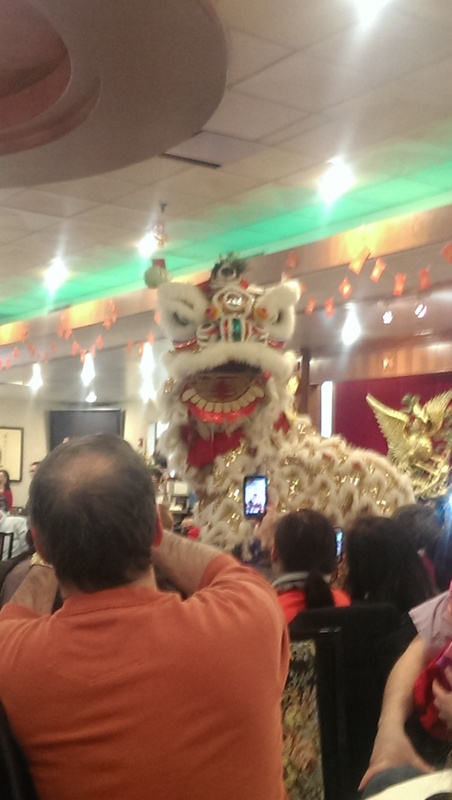 The coin-shaped foods and red envelopes diners stick in the lion’s mouth as he dances. The climbing for the cabbage for luck. It’s just a neat experience. Update: there’s a new place that serves dim sum: Emperor’s Palace. That gets my vote every time now. Bo Loong and Li Wah still serve dim sum off carts, while Emperor’s Palace brings them fresh from the kitchen.